June 2007 Archives - mudd up! tonite’s guest is DJ Eddie Stats! A clubb dj’s dj, Eddie has deep crates and pushes the pulse of now as a in-demand NYC selector and contributing editor for The Fader. Dancehall, bhangra, and he might share some TRANCE-y (think: nyabinghi, not goa) specials for us. as usual, playlists & streamable archives here. and a new web for the show, not-quite-finished but functional, is: http://ruptureradio.com. over there is where these weekly radio blurbs will be posted from here on in… if u prefer that Rupert Murdoch owns it, it’s done, he does. some battles, they’re bait… i’m highly skilled, rudeboy, what’s going on? a post-retirement Wiley approaches Weezy levels of productivity (ok, maybe not), but Eskiboy is nonstop making beats as well as rapping. Tunnel Vision vol. 6 — released 3 weeks after his album hit stores — contains a couple sweet grimey string arrangements (like ‘Levels’); 2 replies to Dizzee Rascal’s diss track ‘Pussyole’ — one confident, one thoroughly uncomfortable; and a bonus beat called Apocalypto. Eskimos. Mel Gibson. The Mayans. 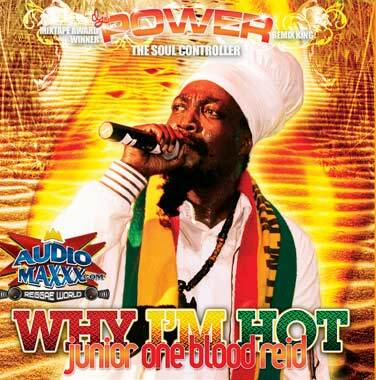 Reggae vocalist Junior Reid (“Mr One Blood”) teamed up with DJ Power to put out a mixtape which succesfully defends the (mediocre) title: Why I’m Hot. It’s really good, especially the first quarter — street rap thuggery & synth beats coexist with conscious lyrics, sweet vox, etc. “Superstar reggae music singer” according to his MySpace ‘Occupation’ field. buyable here (itunes). 47 tracks (! ), several barely over a minute, several mislabeled, its hard to know where to begin…. or, more precisely, things get deleted. here in bloglandia, that is. Apologies for the Mudd Up! downtime. it was entirely my fault. 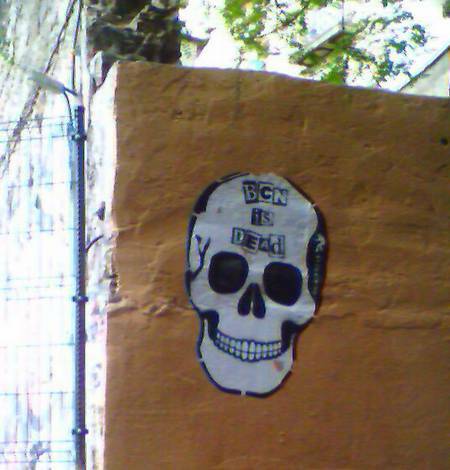 a lot of folks have been contacting me about Sonar-time activities next week in Barcelona. my band Nettle plays next Friday, June 15th, 4pm at Sonar. quick reminder that my radio show kicks off TONITE, 7-8pm eastern standard time, with a special live set by Manhattan’s Drop The Lime. i’ll be playing some of the new Dizzee album and who knows what else. next week: London producer Shackleton of the Skull Disco label will visit to talk about drum programming, dancing with the dead, sufi Islam as expressed via Nusrat Fateh Ali Khan, and how everything changed when minimal techno demi-god Ricardo Villalobos offered to remix his epic track about the twin towers. take country music which already seems psychedelic to the urban audio mind, add dramatic video effects, multiply by the bad-math pile-up of several compression codecs. this is first Algerian Berber material i’ve posted here, all the other stuff has been Moroccan Berber. 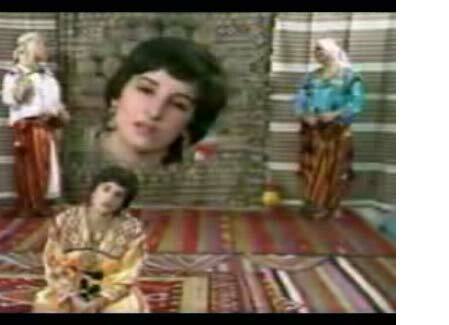 Clip Kabyle a top-notch videoblog for Kabyle pop. This next video comes to us from 1989, a few years before the videographers tamed their landscape with a sense of scale. 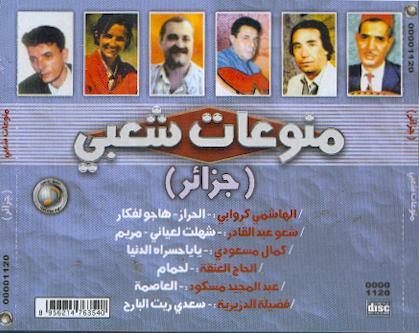 the clip below features the same artist, Hamidouche, in concert. Note the live mix levels: the rock drumkit is buried, you can’t even hear the cymbals. the galloping, tonal darbouka playing is foregrounded. it’s a nice alternative to standard rock sound-level conventions.